A trì (#3) - Dè an obair a th' agaibh? Sgrìobhaibh rudeigin anns a' Ghàidhlig neo anns a' Bheurla, neo anns a' Ghàidhlig agus a' Bheurla! [Write something in Gaelic or in English, or in a mix of Gaelic and English]. If you don't know how to say something, just ask. Re: A trì (#3) - Dè an obair a th' agaibh? 'S e tidsear a th' annam. At least that's the best way I can describe what I do. Specifically, I'm a stay-at-home mom, homeschooling my 12 year old son and teaching 2 classes at our local homeschool co-op one day a week. I've also just started making a little extra money (my husband works full-time) by taking piping (pìob-mhòr) gigs...funerals, mostly, but I've played at some church services and did a 9/11 ceremony this past year. I'm also on the rotation to play at sundown at a golf resort in the town our band is based in, and I just got a call to play at a military ball next month. But the bottom line is, the "work" (practicing) is still done aig an taigh! How might one say "Computer (Unix) Systems Administrator" or "Network Engineer"? "Computer (Unix) Systems Administrator" or "Network Engineer"
Uill, 's e einnseanair lìonraidh a th' annam. Tha mi ag obair ann an oifis, ann am Baile an Taighe Mhòir. 'S e tidsear choimpiutairan airson sluagh dall a th' annam. Or should I be pluralizing "dall"? Tha mi ag iarraidh *voice actor* a th' annam, ach chan eil ùine foghnaidh agam airson *auditions*. 'S e bean-phrògramair a tha anam, ma tha an facal sin ceart. I'm a programmer, if this word is correct. Tha mi ag obair anns an oifis faisg air an taigh agam agus bidh mi a' coiseachd an-sin agus air ais a h-uile latha. I work in the ofice near my home and I walk there and back every day. 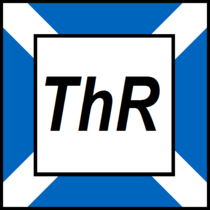 Ach tha mi a' dèanamh eadar-theangachadh den bhàrdachd bhon Bheurla dhan Ruisis (chun Ruisis? san Ruisis?) oir is toil leam bàrdachd glè mhath. But I tr*nsl*t* the poetry from English to Russian, because I like poetry very much. Thoisich mi a' dèanamh eadar-theangachadh den bhàrdachd Ghàidhlig o chionn dà bhliadhna, tha mi a' smaoineachadh, ged nach eil deagh Ghàilig agam fhathast. I've started to tr*nsl*t* the Gaelic poetry two years ago, I think, though my Gaelic is not good yet. I share your suspicion that dall should be pluralized to dalla but wouldn't swear to it. Tha mi nam fear-reic. -> nam fhear-reic - just like mo "my" lenites, so does nam "in my"
Agus tha mi nam ghlòir, gu bheil mi ag ionnsachadh Gàidhlig. Last edited by Fear na coille on Sat Jan 28, 2012 5:59 am, edited 1 time in total. terrencevane wrote: 'S e tidsear choimpiutairan airson sluagh dall a th' annam. 'S e tidsear choimpiutairean do shluagh dall a th' annam. Sluagh is a mass noun and technically in the singular, so no need to pluralise dall. 'S e tidsear choimpiutairean airson shluaigh dhaill a th' annam. In this context, do works better though. terrencevane wrote: Tha mi ag iarraidh *voice actor* a th' annam, ach chan eil ùine foghnaidh agam airson *auditions*. Or: Chan fhoghainn an ùine a th' agam airson... but that's a bit highbrow maybe.